Dakota Alert Birdhouse Kit from HealthyKin.com slides over the top of the following sensors; WMT, WPT, WHT, MAT and MAPS and will help to hide the sensor from prying eyes. 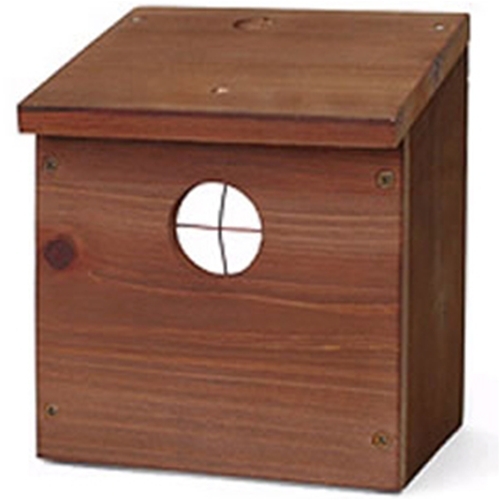 The birdhouse is constructed of solid wood and comes stained a light brown or it can be painted by the end user. The birdhouse is available as a pre-finished, simple to assemble, pre-drilled kit with everything you need except tools.